An original sticker of a tricycle for children. A very decorative wall decal to decorate your home and make your child happy. A great way of giving your child´s room the look you wish. 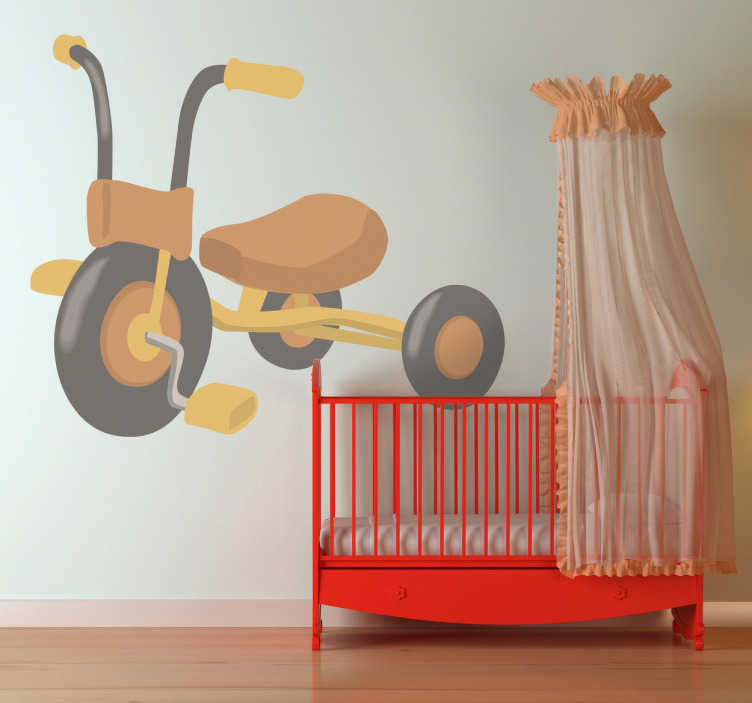 This wall sticker will create a great environment for your child. Available in different sizes. Easy to apply and remove made with anti-bubble vinyl.